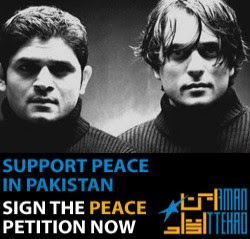 We ask all citizens to sign up on a petition seeking peace for Pakistan, the region and all its people. Let us through this petition state clearly that we want justice. We deserve democratic governance. And call for accountability. Let us celebrate diversity, pluralism and peace. Citizen and State must now coincide. Together let us regenerate promise and potential. The time has come, together we must rise.